Naomi Yamaguchi performed February 11th, 2018 on Show 349 in Boston, Massachusetts. Naomi Yamaguchi (piano),13, lives in Acton, Massachusetts where she is in eighth grade at R.J. Grey Junior High School. 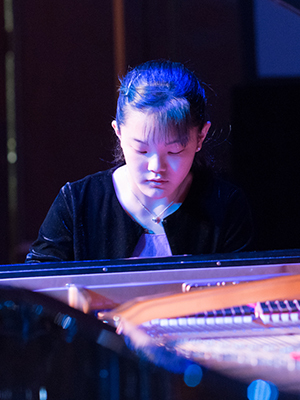 She studies piano with Hitomi Koyama at New England Conservatory Preparatory School. 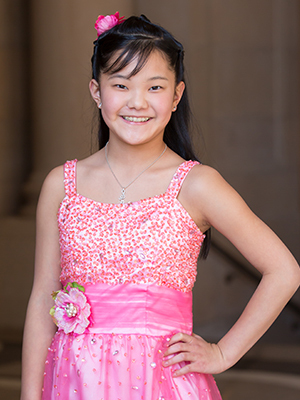 Naomi made her Carnegie Hall debut at age seven and has performed in the Young Artist World Piano Festival in Minnesota and at the Consulate of Japan among other engagements. She was a 2017 recipient of the Ruth Laredo “An die Musik’ Memorial Fund Award and performed with the Tuesday Musicale Chamber Orchestra in Detroit as part of her award. Naomi recently won first place in the Quincy Symphony’s Concerto Competition. Her favorite musical experience was when she played the Mozart Concerto in A Major with the Orchard Lake Philharmonic Society in Michigan at age nine. She loved the process of making music with the orchestra and practicing with the conductor. Outside of music, she enjoys karate and Japanese tea ceremonies.